The Rockshire pool is home to the Rockshire Sharks swim team. 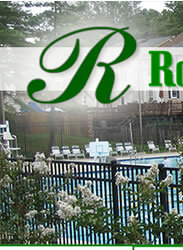 Rockshire Sharks are a member of the Montgomery County Swim League and compete in Division I. This community summer swim team offers high quality professional coaching and technique instruction for all ages and abilities. Swim meet dates are posted on the swim team bulletin board at the pool and will be linked here at the beginning of each swim team season. For more information about the Rockshire Sharks, please visit their website.